Sometimes you need a light and refreshing cookie to balance out desserts like this. As the cooler weather is moving in, the comfort of indulgent cookies, cakes and pies is more and more appealing. However, I’m determined not to gain weight as we get through the winter. In fact, I’d like to get rid of the couple of pounds that have snuck up on me over the last several months. But don’t expect things to get all diet-y around here. I really believe in balance and balance includes indulging in real butter-filled desserts in moderation. But usually sometimes, one cookie or one slice of cake just doesn’t do it. It is a time like that when something a little lighter is best. That way you can have 10 4 cookies instead of 2. I find that meringue cookies are a little underrated. It used to be a nice treat when we would come home to a fresh batch of chocolate chip meringue cookies waiting in the kitchen. The light and crispy exterior complimented by a chewiness just in the center makes for a nice change of pace. Adding in the mini chocolate chips is a bonus. While my mom always went with the classic meringue, I decided to change things up with a mint chocolate chip version. Just a little bit of crème de menthe adds a nice flavor touch to the cookies. The thing that made baking these cookies a little more fun than usual was a new toy in the kitchen. OXO sent me some kitchen supplies including this OXO Egg Beater. It is so much easier than trying to beat the eggs by hand but you get to feel more active than using an electric mixer. Plus, it is great for making a small batch when a regular electric mixer can’t reach the bottom of the bowl. I even used the egg beater when making breakfast today. The fact that it is dishwasher-safe makes it an every day tool! Disclaimer: I received the OXO Egg Beater and other kitchen accessories as a part of the Foodbuzz Tastemaker program. All of the opinions expressed in this post are my own. Any tips on eating desserts in moderation? I would love to learn how to do that! I have no tips for moderation as I suffer from dessert cravings constantly! These meringues look delicious – mint chocolate is a favourite flavour of mine. Thanks! Those look so delicious … very light and airy! Thanks for sharing! As soon as I master meringues… I’m soooooo making these! They are really so easy! Ohhhh. I havent had those forever. My boyfriend would LOVE these! They sound great! I can’t even eat zucchini in moderation. Much less dessert. So don’t look to me for tips. Though I feel like I owe you something for this recipe…which sounds like a good Christmastime treat (to eat by the pound, of course). Haha I am the same way with veggies, glad I’m not alone! Try them when it isn’t humid outside, I find those are the most successful baking days! I made these once and they were so good!! I love meringues! Delicious! I love sweet meringues for a light treat! I am the worst person to advise on moderation because I have absolutely none! I do love little meringue cookies though and the chocolate chips are an inspired touch. I’m totally in it with you girl! Let’s prove that you can lose weight while still eating dessert (in moderation!). I love meringues cause of the fact that they are (a) delicious and (b) so totally guilt free. Mint chocolate chip is such an intriguing flavor combo for them! Love it. These are so cute! I love love love all OXO products. They are always so easy to use and soooo durable. I just discovered your blog and everything looks delicious! Excited to explore around to your numerous recipes and try a few out myself! Beautiful work. Thank you so much for the nice note, Pamela! This is such a great idea! And, I love meringue cookies because I don’t feel so bad after eating 8. And by 8 I mean 10. Yeah, I can’t do the whole moderation thing – if you discover the secret, please let us all know =) I’ve never seen meringue cookies like this before, but I’m totally diggin’ on them! Yum! These look amazing! My mawmaw LOVES meringues, so I can’t wait to make these for her, most likely for Thanksgiving. So really, thanks for sharing! I have always wanted to try making meringues! 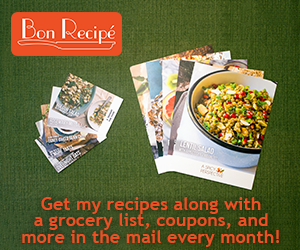 I’m going to bookmark your recipe and try it for sure! My son would love these Lauren, he loves mint chocolate chip. I’ve never thought to add chocolate chips to meringue. I’m going to have to try it. You’re so right it’s nice to have a treat on the lighter side for a change. I love treats like this with afternoon “coffee time”. These do look light and lovely! A perfect little treat to give you a taste of something sweet without going overboard.